The countdown to Thanksgiving (as well as Christmas!) begins. 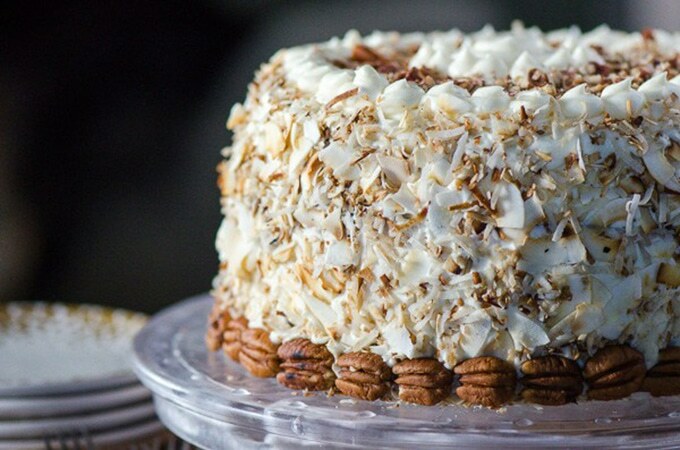 Here are 32 stunning holiday cakes that will make you not want to bring pie for potluck this year. This is it you guys. Thanksgiving is exactly 1 week from today. And Christmas is just 38 days (a little over a month!) away. Are you ready? We already had Thanksgiving in Canada and Thanksgiving is not celebrated in the Philippines but for most of you, this is probably the one day of the year where most (all?) stress is food-related. Fear not my friends. I have an incredible round-up for you. Whether you’re having your in-laws over for the first time (good luck!) or you’re hosting your first ever Thanksgiving dinner in your new home (congrats! 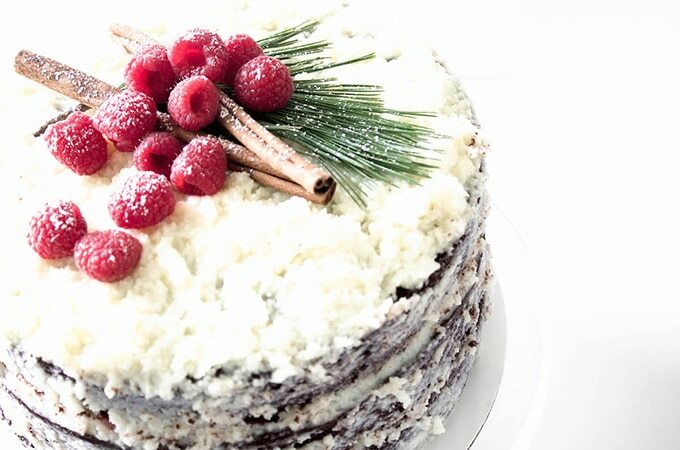 ), here are 32 of the most stunning holiday cakes you can serve that will leave a lasting impression on your guests. To quote Chef Daniel Boulud: A meal is a crescendo. And the crescendo wouldn’t be complete without the dessert. The last impression I think you want to leave, a long lingering, sort of, dreamy feel of the end of a meal. These are your holiday favourites. Wonderfully festive holiday cakes that make everyone smile and feel happy all-around. 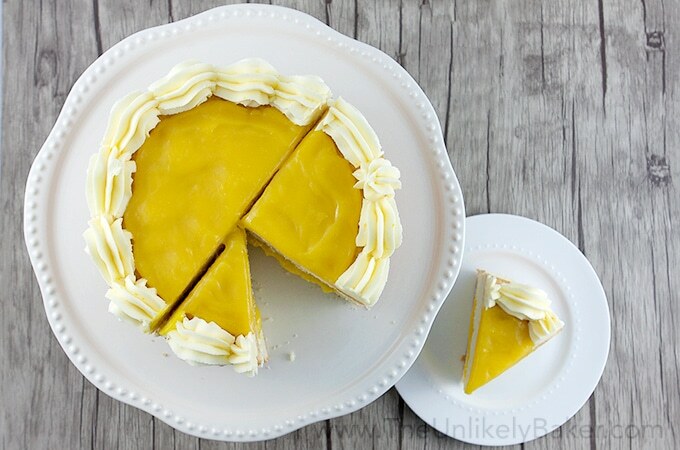 Let’s start with this amazing Pumpkin Pie Cake from Preppy Kitchen. How fun does that look? Not in the mood for pumpkin? 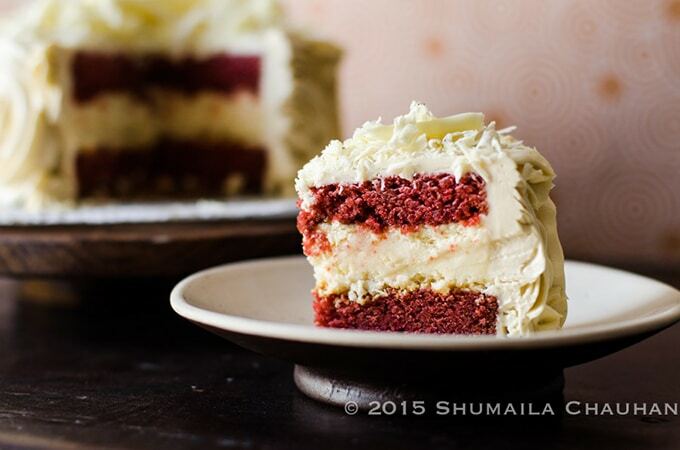 What about everybody’s favourite Red Velvet Cheesecake Cake? This beauty is from The Novice Housewife. 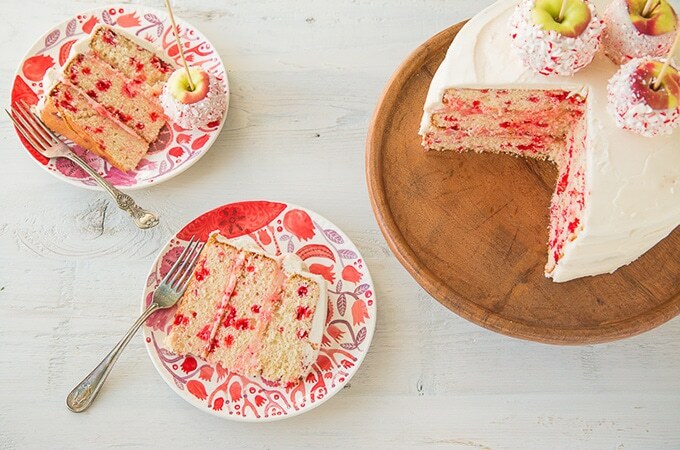 The Road to Honey has this whimsical Candy Cane Cake with Peppermint Bark Apples. 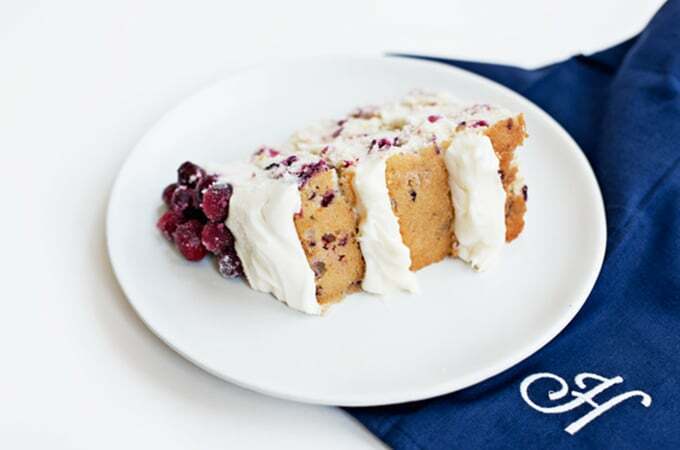 While this Cranberry Orange Holiday Cake from A Side of Sweet looks absolutely delightful. Fun Food & Frolic has this Garam Masala Spiced Gingerbread Cake with Nolen Gur that’s a great twist to the classic Gingerbread Cake. 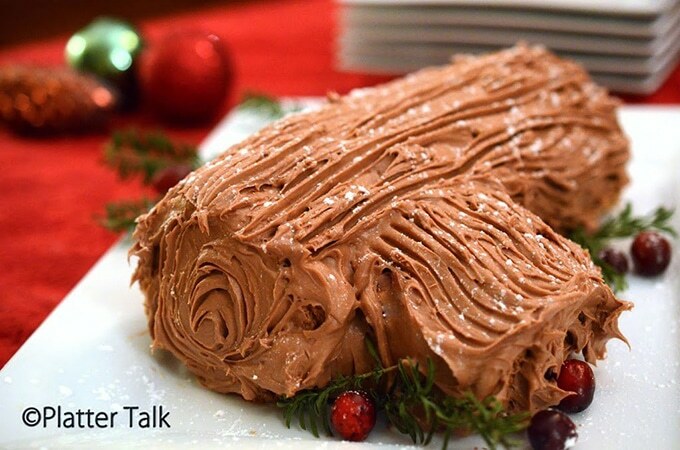 And Platter Talk has a Bûche de Noel or Yule Log, a traditional holiday treat. Looking for something lighter? 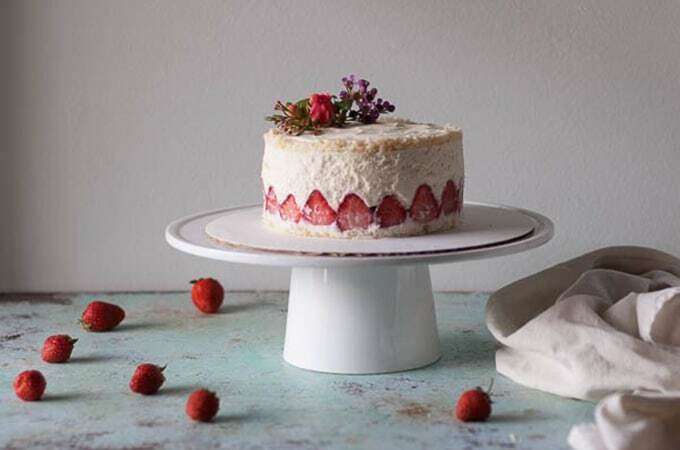 How about this Strawberry Fraisier with Lillet Chiffon Cake from Blossom to Stem? And you could never go wrong with vanilla. 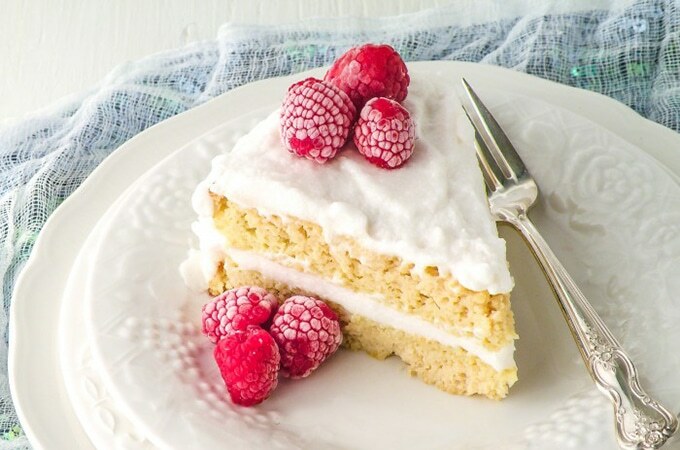 Especially with this Coconut Flour Classic Vanilla Cake from Healy Eats Real. You’re looking forward to this section aren’t you? Here are amazing chocolate cake recipes for you. What about this Irish Chocolate Cake with Baileys Buttercream Frosting from Culinary Ginger? 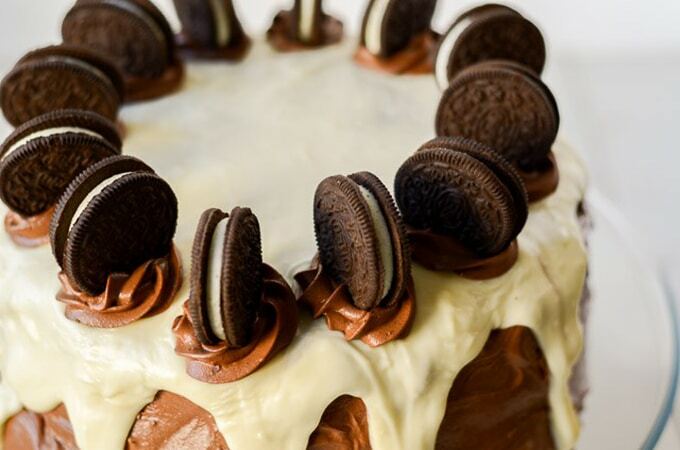 And who can say no to this Oreo Layer Cake with Cookies and Cream Filling from Ready to Yumble? 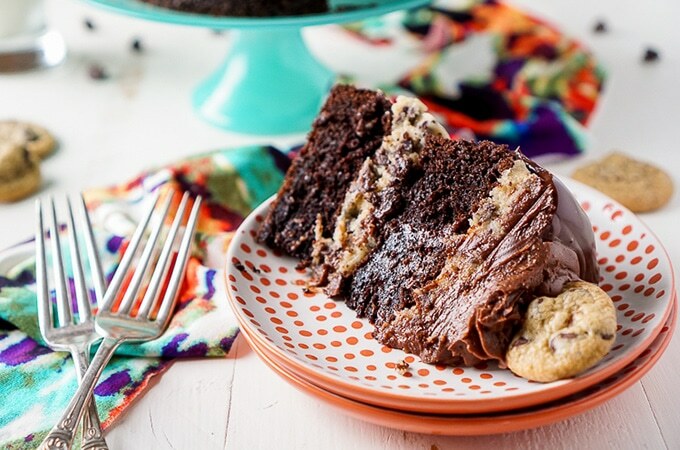 Or to this Chocolate Chip Cookie Dough Cake from Sugar and Soul? Drool. And hey, I got my own recipe for you too! 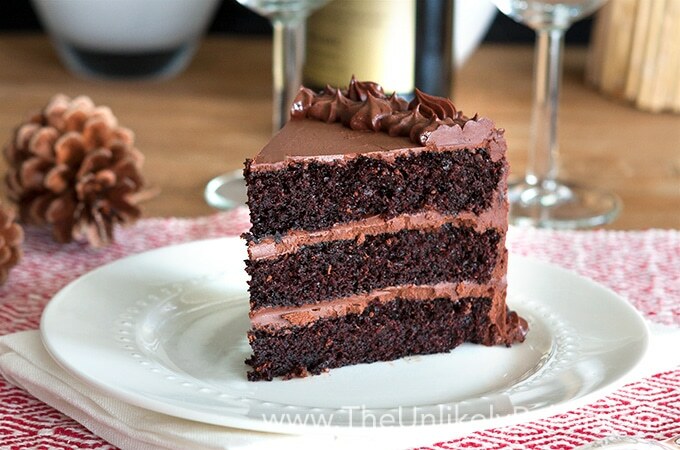 Check out this Chocolate Cake with Chocolate Fudge Frosting. But we’re not done. Get ready for more chocolatey cakes! This Chocolate Raspberry Cake from Mon Petit Four is perfection. 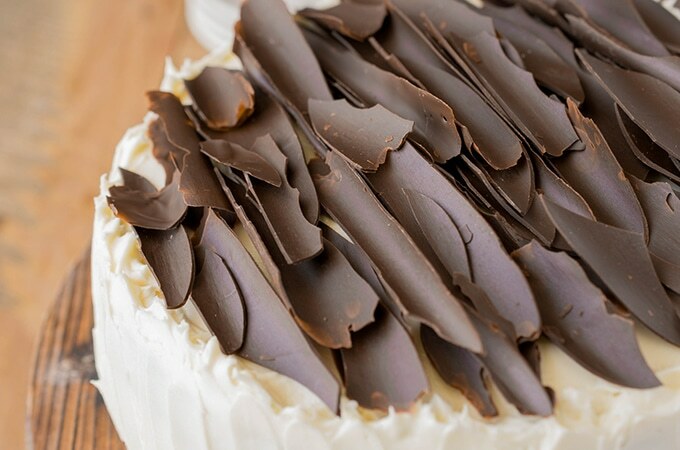 And you’re sure to win adoring fans with this Chocolate Olive Oil Cake from Patisserie Makes Perfect. Still feeling unsure? 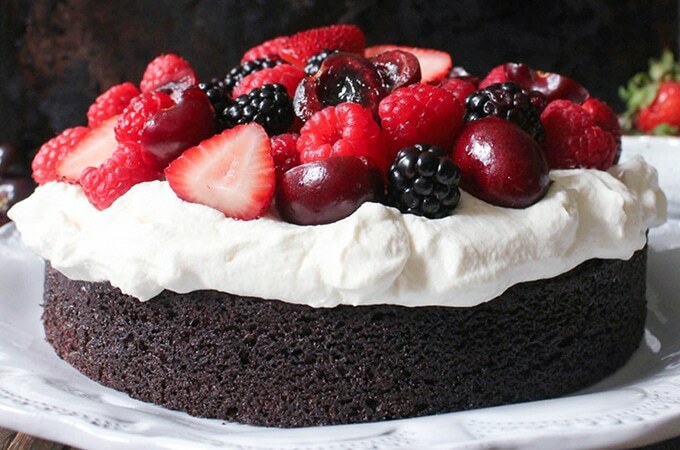 Domesticate Me has this Foolproof Chocolate Cake with Whipped Cream and Fresh Berries. Hey lemon fans, I haven’t forgotten about you. Of course not. 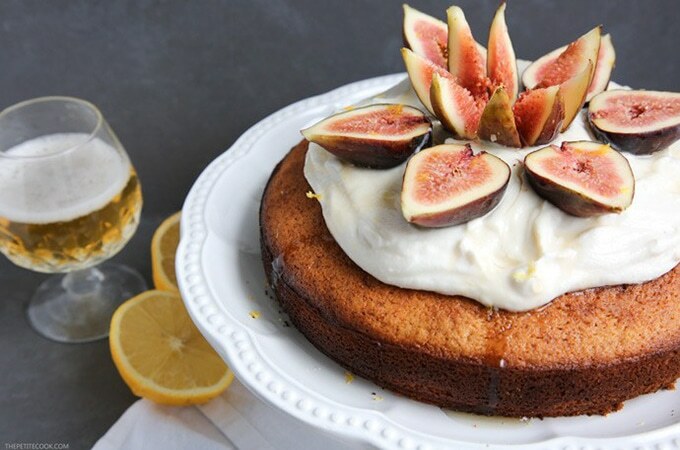 Check out this Lemon Beer Cake with Honey and Figs from The Petit Cook. Pretty awesome, right? Or this very lemony Lemon Curd Layer Cake with Lemon Buttercream. 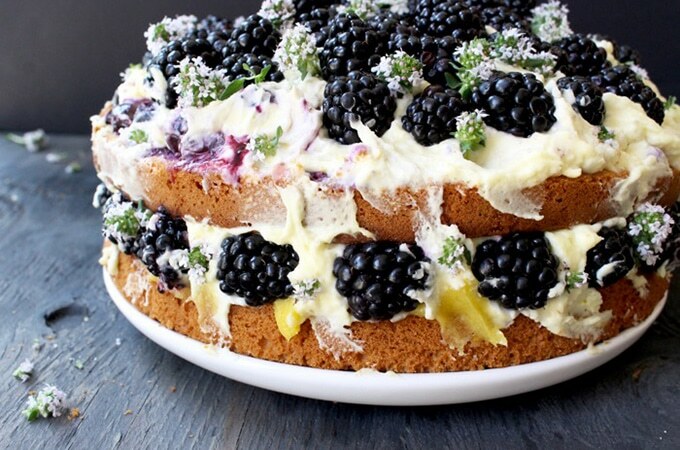 And just look at this mouth-watering Lemon Olive Oil Cake with Berries & Mascarpone over at Ciao Florentina. What a treat. 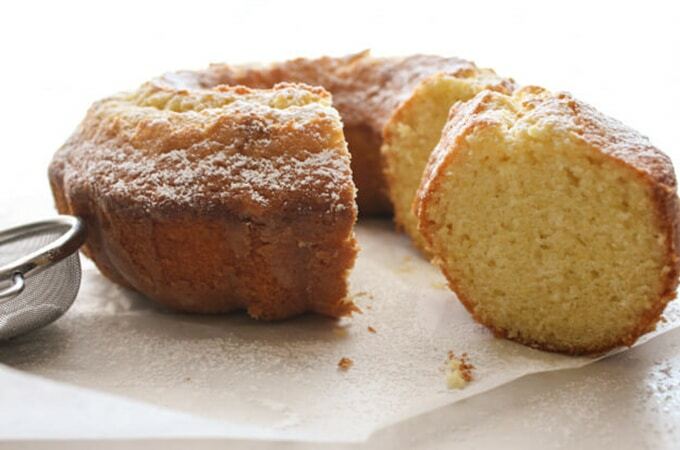 And this Italian Fresh Cream Lemon Cake just looks superb. It’s from An Italian in my Kitchen. Stunning Holiday Cakes: Think Out of the Box! This year, why not try something new? Bake a cake you haven’t had before and surprise your guests (and yourself!) with some pretty amazing and creative flavour combinations. 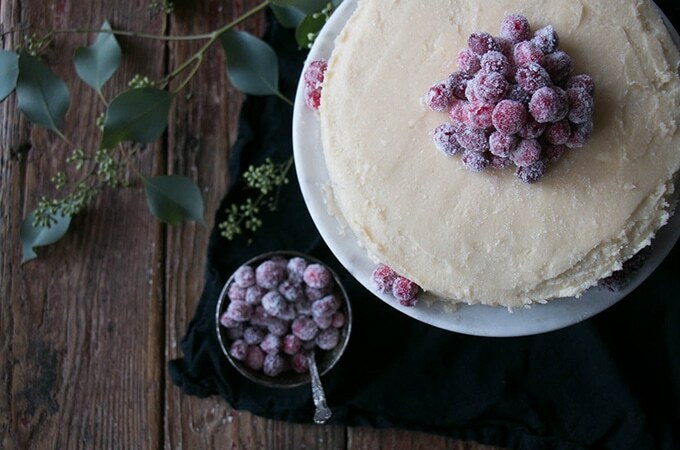 Like this Spiced Apple Cider Cake with Frosted Cranberries from My Kitchen Love. 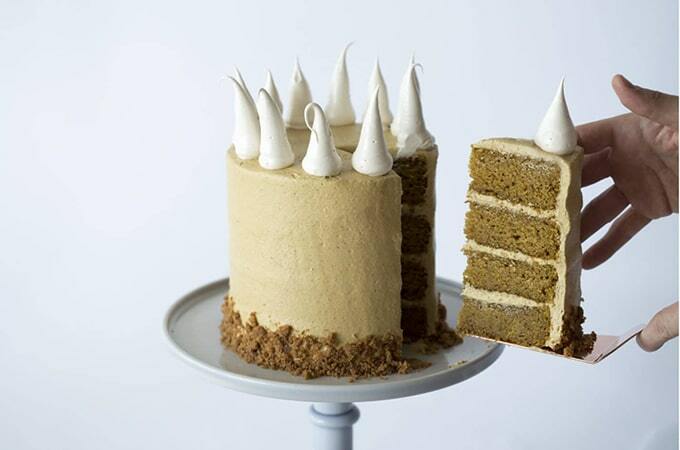 Or this London Fog Cake with Earl Grey Buttercream. 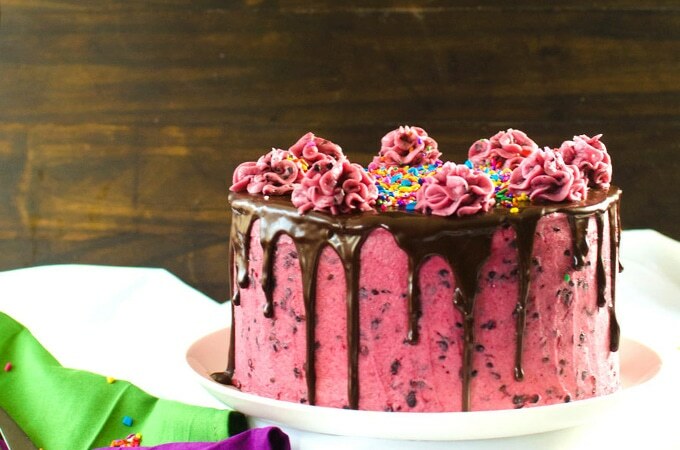 The Flavor Blender has this Kiwifruit Blackberry Vanilla Cake that looks like a fantastic party. 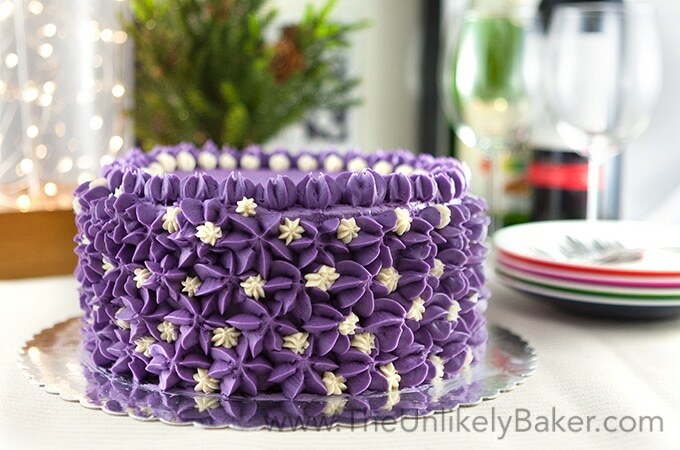 While this Ube Cake promises to deliver the most unique and delicious burst of flavour. Are cheesecakes more your thing? Well we got that too! 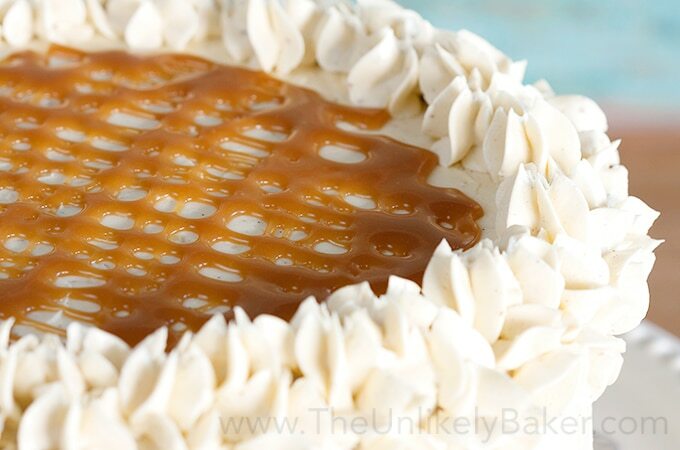 First up is this amazing Italian Cream Cheesecake from The Crumby Cupcake. 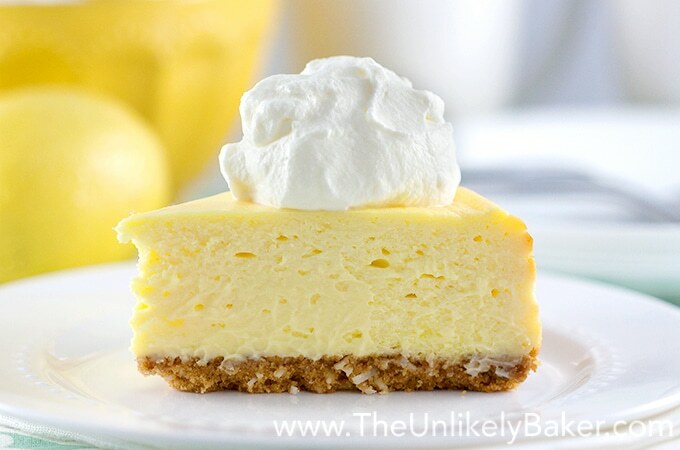 Looking for the Best Lemon Cheesecake? You found it. And if you’re looking for gluten-free, dairy-free, vegan and paleo, Downshiftology has it. 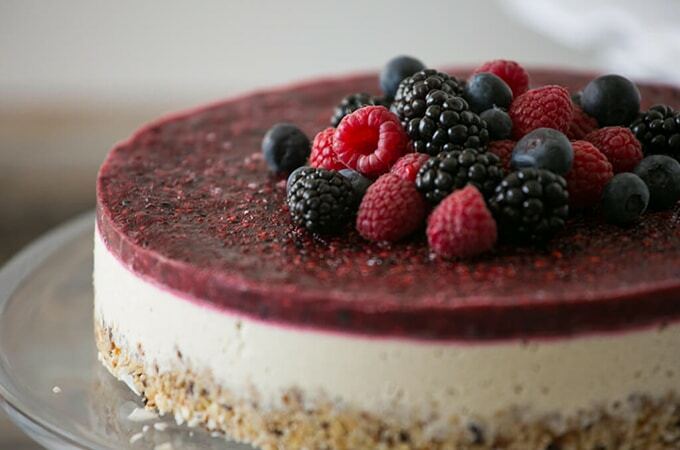 See here: Raw Mixed Berry and Vanilla Bean Cheesecake. But you know what, sometimes the best cakes are the simplest ones. Just a fantastic cake, no frosting needed. Maybe you can serve these for breakfast or in the afternoon with coffee or tea. They are perfect any time. 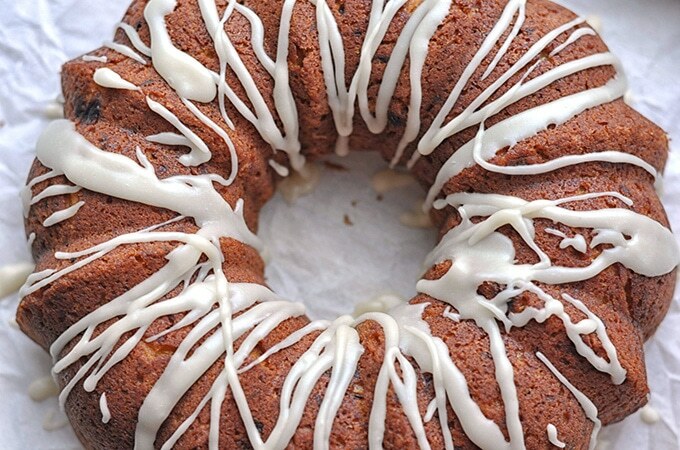 These first 2 cakes are excellent apple cakes – a Chewy Spiced Applesauce Cake from Raia’s Recipes. 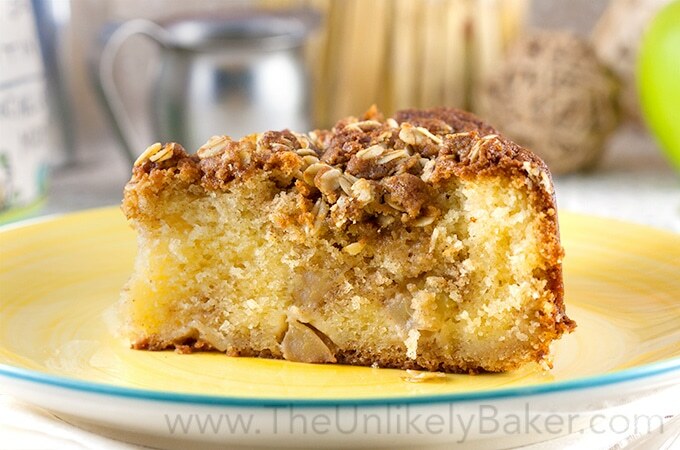 And here’s my Apple Crumble Coffee Cake. 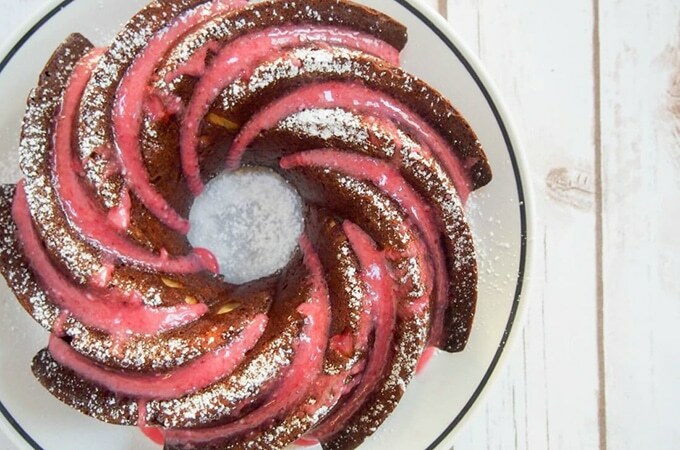 These next 4 cakes are what our bundt cake dreams are made of. 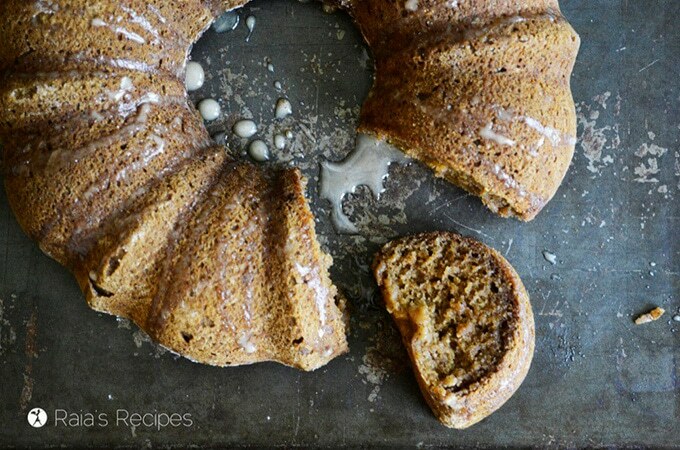 Shiny Happy Bright has a Clementine Almond Bundt Cake that looks so fun and festive it looks like it is meant to be served over the holidays. 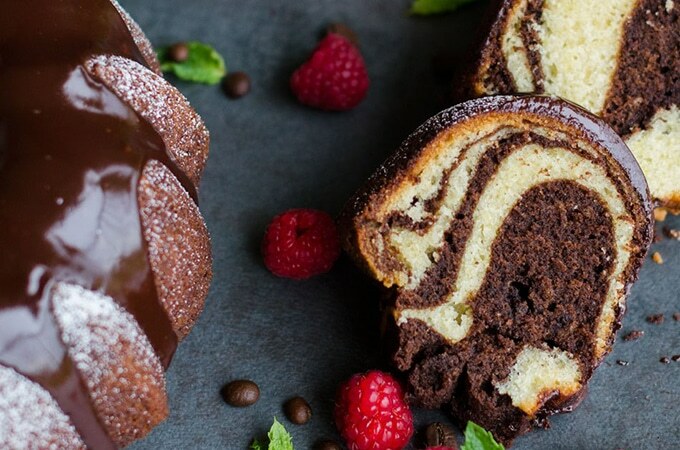 While this extraordinary Mocha Marble Bundt Cake from Elegant Meraki is just begging to be taken with your best coffee. 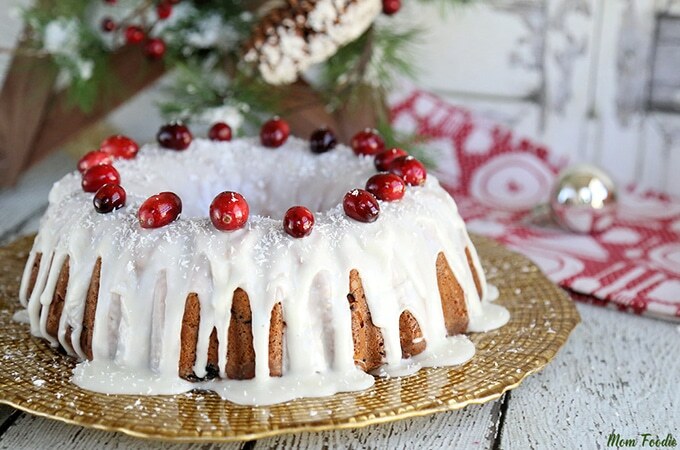 Mom Foodie has a thoroughly cheerful Cranberry Sour Cream Bundt Cake. 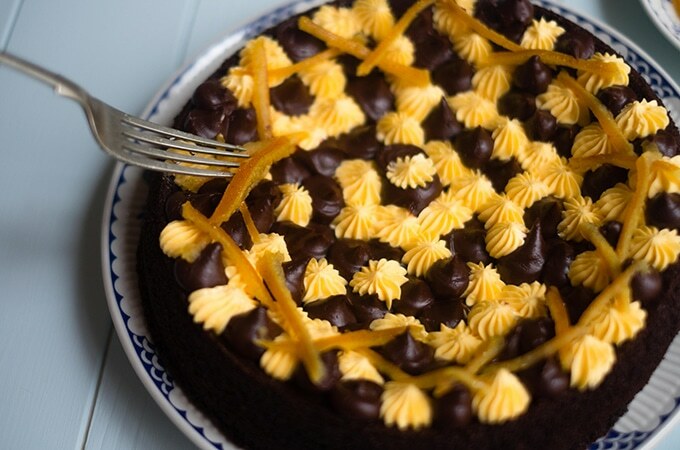 And finally this Clementine Cake with Cranberry Glaze from Caroline’s Cooking looks almost too good to eat! 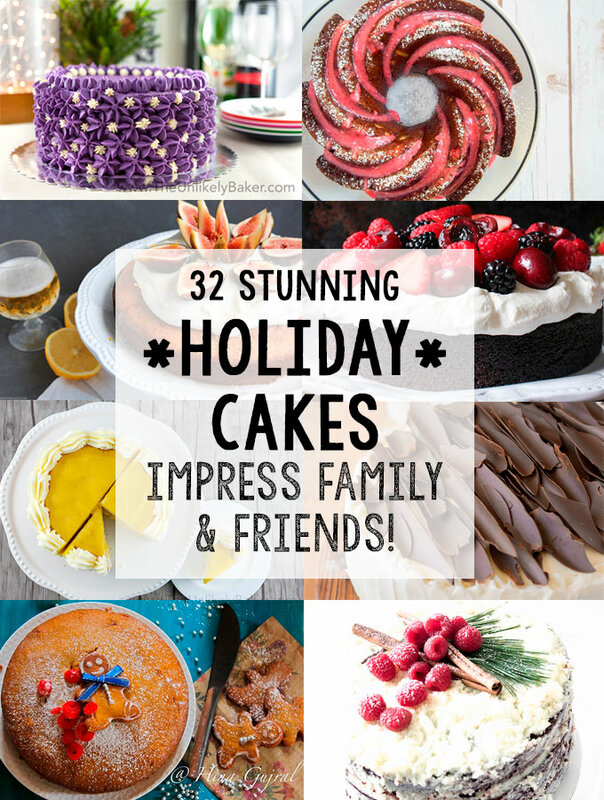 I hope this round-up inspired you to create stunning holiday cakes this Thanksgiving, this Christmas or anytime you and your loved ones get-together. They are what the holidays are about after all. Celebrating the gift of each other. So go ahead, pick a favourite, buy your ingredients this weekend and get baking. Hope you all have a most blessed Thanksgiving! Did you make any of these recipes? Any favourites? What are your Thanksgiving plans? I’d love to hear from you! Let me know in the comments section below. Oh my goodness!! ALL of these look amazing!! These are all so gorgeous. I really want to learn how to make pretty cakes like this. Hi Jaime! It’s really just practice. Start with the Wilton 1M tip, it’s a favourite tip among decorators, and just go for it 🙂 Or do as I do – cover my mistakes with sprinkles and be done with it haha 🙂 In any case, have fun! Thanks for including my cake and in such fantastic company! Yum! Or, how about 1 cake per day until Christmas? Now that would be amazing (and unreal) haha! Although we have our decorations up, we have not done any shopping. Uh oh now I feel the pressure. Thanks Dawn! Have a fantastic weekend yourself! These cakes are amazing looking, almost too pretty to eat! Thanks Mary! They are very pretty aren’t they? Sometimes when I decorate and I’m particularly successful (I’m not very good you see lol), it almost breaks my heart to slice into it hahaha. Do you have a favourite one in the collection? The clementine cake caught my eye initially, but you have so many beautiful and delicious-sounding options to try to make!! Hi Sarah! Which one (there are two)? I guess it doesn’t matter though, both look awesome and quite delicious! Hope you’re having a lovely Saturday! These are all so beautiful! So perfect for the holidays! Such a mouth-watering list. We don’t celebrate Thanksgiving over at Malaysia but these list is definitely a keeper. I would love to try the Italian cream cheese cake. Thanks for sharing! Whoa, these cakes are indeed stunning! I picked like 5 favorites, if not more!!! Great inspiration for holiday season. Thanks for bringing them together! Hi Shinee! 5 is a great place to start lol! Hope you have a most wonderful holiday season! What an awesome looking selection of cakes..Looks like something here to suit almost anyone! Wow! This is an unbelievable round-up of holiday cakes! I feel like everyone is pressed to make pie for Thanksgiving but these cakes look so good. Wishing you a blessed Thanksgiving too! It is hard to imagine that Thanksgiving is so close now, but I’m looking forward to it! What a great selection of recipes for holiday cakes – I’d like to try them all but I think I’ll start with your Apple Crumble Coffee Cake. It would make a great Thanksgiving breakfast! That is what I call a diverse group of beautiful cakes! I’ll never be brave enough to make a yule log cake but they are so cute!! You know, me too haha! It’s so perfect and pretty. But maybe I’ll try once and see 🙂 Thanks Sarah Jean! Hope you’re having a lovely weekend! LOL that’s very true 🙂 You’re too funny Mariana. I have lots of ugly cakes believe me, but they still taste delicious and we still eat them! OMG! I could enjoy every cake on that list. I love the holiday season and all the delicious desserts we can enjoy! Yummy! Oh my word me too! If I could have 1 cake everyday….I wouldn’t be able to stand lol. Thanks Elizabeth! 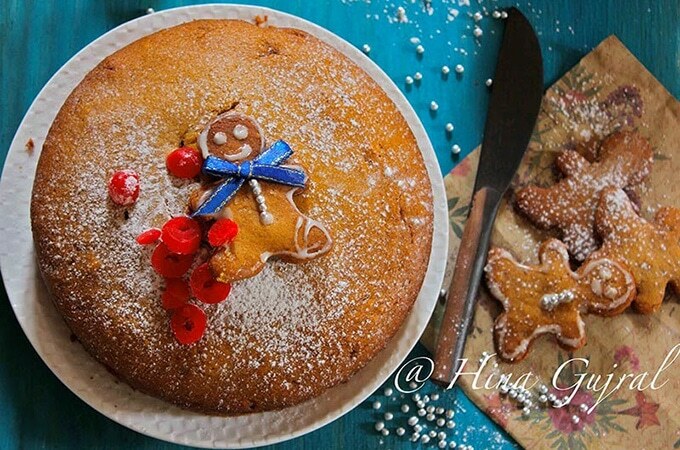 These are some pretty fantastic holiday cake ideas, thanks for sharing. We may have to make a couple for Thanksgiving Day! Awesome! I’d love to hear about what you picked and how it went 🙂 Hope you have a wonderful Thanksgiving Maureen! These are absolutely fantastic! I’m going to save these for Holiday. Ah how will I possibly choose between all these beauties?! Must…make…all… I need about 2 dozen more holidays to get through all these! Hey Liz, I have a solution for you: 1 cake per day until Christmas. Genius right? LOL! Maayybe not the smartest but that’ll be one sweet and delicious month. Hope your Thanksgiving prep is not driving you crazy! Have a wonderful holiday! Wow, there are some talented cake makers out there. Thank you for including me in this fabulous collection. Indeed! And your Irish Chocolate Cake looks amazing 🙂 Thanks Janette! Hope you’re having a fabulous weekend! I want to eat EVERY SINGLE ONE!!!!! Thanks for sharing. What a great round up Jolina. Thanks for featuring my red velvet cheesecake cake amongst these beauties, it is one of my favorite cakes! Pinning it for future cake indulgences!